The world of online gaming has changed quite a bit over the last several years. It seems nearly every major MMO game on every platform has gone over to the freemium, pay-to-win, or item mall business plans. Mobile gaming never really had the benefit of anything different. 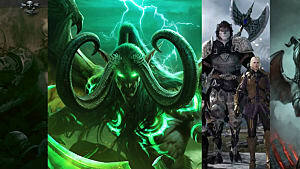 Love it or hate it, that's the way it is for those of us wanting to take our MMOs on the go. Come with me on an adventure and lets see if we can find the diamonds in the rough! When I began thinking about a list of top MMO games for mobile devices, I wanted to give my readers a list of games that they may or may not have heard of -- games that are great MMOs in their own right, but that might have slipped through the cracks or been overshadowed by their flashier and more advertised cousins. I wanted to avoid the obvious games. 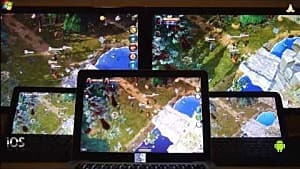 Everyone knows about Order and Chaos Online, Game of War - Fire Age, Grepolis, etc. We know they are good games because everyone says so. 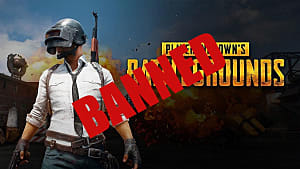 All the reviews are great and they have millions of players. You already know what you're getting into before you start playing these A-list games. However, if you're looking for something a little different, something off the beaten path, then look no further. 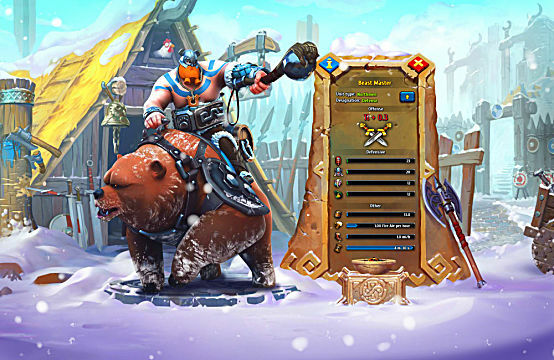 Nords: Heroes of the North is what I think of as a more classic mobile MMO. 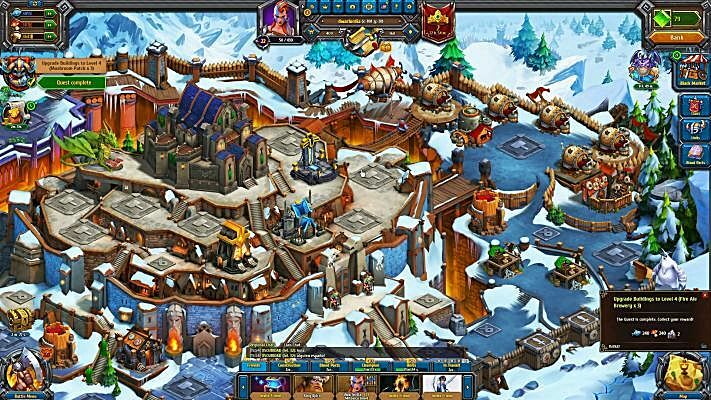 It revolves mostly around base building and resource management. 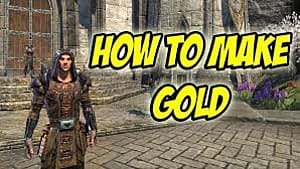 It also includes microtransactions which, lets face it, are extremely difficult to escape when playing these types of games. Fortunately, they are not overly invasive in this particular game. In addition to building a colorful Nordic home base, you can also attack other players online. The first time you do this can be a bit scary. A warning message pops up telling you that once you attack you lose your "novice status". That means you are vulnerable to retaliation by other players, but don't worry -- that's half the fun of the game anyway. The combat is fairly generic. You don't get much control over the whole affair. It mostly comes down to who has more numbers. That aside, the graphics and colors are beautiful in this game and combat is truly fun to watch. They also managed to wrangle some voice talent for this one -- Patrick Warburton, the voice of Joe on Family Guy as well as many other shows, movies, and games. This is just a little touch, but gives the game a more polished feel. All in all this one is not bad. It is a cash grind for sure, but the beautiful graphics and voice acting should keep players coming back for more. War of Dragons is a fun little MMO that doesn't get nearly enough credit. The object of the game is to build your base and pepper it with defenses to defend it. Then you acquire dragons and use them to smash other player's bases into little tiny bits. This is done by making various gestures (keep it clean now folks) on the screen as your dragon flies over the enemy base. As you play through the game you acquire bigger and better dragons. The more powerful the dragons, the better they will be at blasting other players to smithereens, but watch out because they also take longer to heal from their injuries. That means more down time between play times. While you are waiting for another run at your enemy's base, you can rebuild your defenses and chat with other players. You can also form teams and help each other out. Then, while you are off folding laundry or perusing the wonderful articles on Gameskinny, your friends can help defend your base from other players. 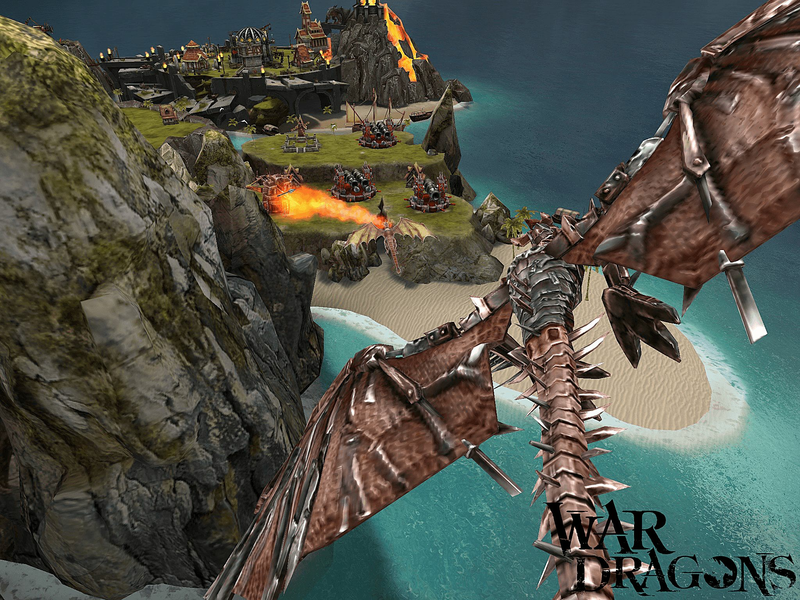 War of Dragons has the run-of-the-mill timers and premium purchases, but it doesn't seem to be overly intrusive. This one is lots of fun to play with friends and won't break the bank. 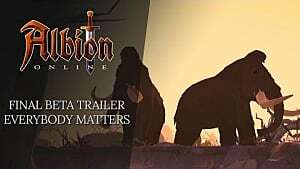 Albion Online is a new mobile MMO from Sandbox Interactive GMBH. The game is still in closed beta, which would normally disqualify it from my list -- but this one looks so good, I couldn't leave it out. Judging by online reviews, players seem to be loving this one so far. 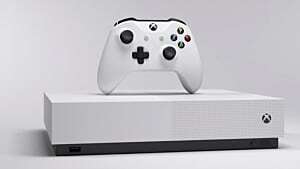 It claims to be truly cross platform, meaning you can play it on your PC at home then take the game with you on your phone or tablet. It truly is a beautiful game, with a top-notch isometric view and gorgeous scenery. A host of character creation and customization options add plenty of depth. PvE, PvP, and GvG modes are available and should give players plenty to keep them busy. If all that fighting is too much however, Albion Online has other, less confrontational, gameplay options. 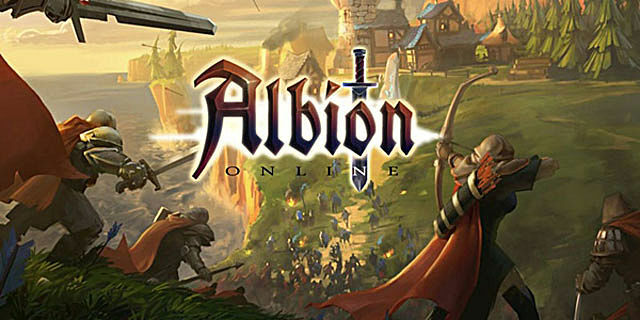 The economy in Albion Online is entirely player run, so if players get tired of all the questing and killing, they can retire to their own peaceful little corner of Albion where they can build a home and take up farming. Farming is important, because very little can happen in the game without food. Guilds need it to build and to wage wars. If growing food isn't your thing, you can also gather materials needed to craft weapons and armor then transport them to trade markets around the world. 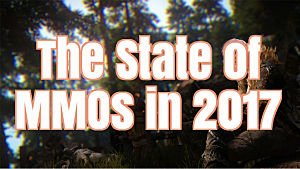 This is all very advanced for a mobile MMO, which definitely makes this one of the year's most anticipated MMO games. Players can get in on the closed beta with one of the three Founder's Packs available on their website. 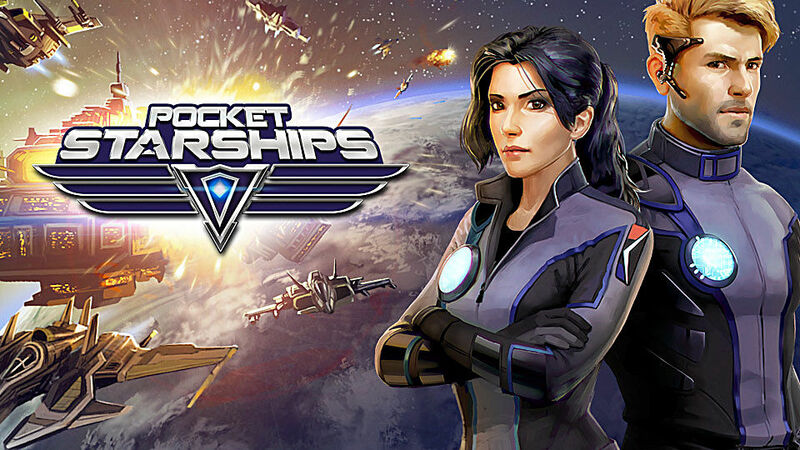 Pocket Starships is a twin-stick shooter MMO. The object of the game is to conquer areas of space, while also defending your own. To do this you need to join battle groups with other players. Certain areas of space will be set on alert status. When this happens you can hit the jump gate and happily blast your enemies into space dust. You start at your home station where you can recharge your shields and repair your ship. You can also produce items here using resources. These can be mined in certain sectors of space, then transferred back to your station for refinement. The materials can then be used to build bigger and better ships, weapons, and boosts of various types. Being a sci-fi fanatic, this game really appeals to me, but I think anyone can appreciate it. The graphics are gorgeous and the music is fantastic if a bit repetitive. It puts me in mind of the Star Trek and E.T. soundtracks kind of mixed together. The game performed well, but I did experience a few crashes. Bear in mind I was playing on a iPad 2, so crashes are part of the deal. I'm sure newer devices would have more luck. Fallen London nearly didn't make my list. Not because it isn't a good game, but because it's technically not an MMO. Regardless, it does have online play and you can invite friends to play with you, so ultimately it made the cut. Mainly because the game is just so darned good. This game is not new at all. It has been around as a browser based game for some time. It is only recently however, that Failbetter Games decided to create a mobile app. It was great in a browser, but the app adds music and ambiance galore and, although I did have a few crashes, it behaves quite well. Fallen London is not about big battles and tons of action. It tells stories and it does it very well. The writing is some of the best I've ever seen in a game. The stories draw you in and unravel over time. Sometimes they take hours, some last days or even weeks as you can only explore parts of them as they become available. 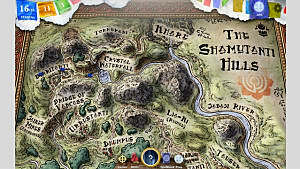 Along the way players can invite friends to participate in their stories. This doesn't play out in a traditional way, as it's a text-based adventure. Nevertheless, they can participate and the game does a great job of integrating that and making it feel as though you were on an adventure together. While not everyone's cup of tea, Fallen London definitely has a niche market and devout fan following. It has spawned spin off games such as Sunless Sea, a PC game about sailing the Unterzee. It has also created a whole new level of cosplay options for fans of Steampunk and Lovecraftian fiction. Honestly folks, who doesn't love a little Steampunk Cthulhu action now and then? 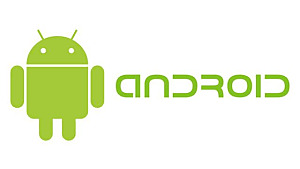 What are some of your favorite mobile MMOs? Let me know in the comments!